A camp for dogs and their owners! A special invite to Owners of New Puppies-BRING THEM! There’s no better start your pups could have than Camp Gone to the Dogs. All breeds or mixes of dogs are welcome. Bring your canine senior citizens and enjoy quality time in lectures and walks with them. You may even discover that your veteran has some hidden talents just waiting to be discovered at Camp. You CAN teach an old dog new tricks! Our guiding principles are kindness, fairness and love. We use only positive training methods— treats, toys, play and petting. If it’s not fun for your dog, we won’t do it. Camp’s instructors are not just “on” the cutting edge, they ARE the cutting edge. If there’s a way to make it enjoyable for dogs to learn, they’ll find it. They have received national acclaim, written books, given international seminars and run training centers. Training with Camp’s instructors will spoil you. When you see how enthusiastically and joyously your dog learns when you teach positively, you won’t want to train any other way. Mare graduated from the University of Wisconsin – LaCrosse with a B.S. in Recreation Administration and a M.S. in Educational Media. She trained to be a Camp Director, Parks and Recreation Manager, Outdoor Education Leader and Educational Media Specialist. Mare’s passion for training dogs has taken her on many adventures that include Obedience, Flyball, K9 Disc and more. Mare is a World Class Disc Dog Handler that has been training and competing in Canine Disc for over a decade. In 2005 Mare and Scout, a Terrier Mix were the Skyhoundz Micro Dog World Champions. She is also a two time finalist for the U.S. Disc Dog Nationals. She has competed with a variety of dogs, including Border Collies, Australian Shepherds, Herding and Terrier Mixes. She and her dogs starred in the MagRack Disc Dog Training DVD, appeared in Animal Planet’s Best Dog Friendly Destinations, the Purina Incredible Dog Challenge, NBC Sunday Morning News show and more. Mare is a dog trainer that stresses positive, motivational training methods. She is currently training Mini Australian Shepherd Cote, Border Collie/Australian Cattle Dog Bryte, Jack Russell Terrier/Australian Cattle Dog Kai and ??? Echo. Trina has been owned by dogs for the greater part of her life. Pembroke Welsh Corgis initially took over her household almost 50 years ago and both Trina and her late husband, Tom, “went to the dogs!” They showed the Corgis in breed and obedience, sometimes even successfully! Then one day in Canada, it happened! They saw lure coursing for the first time and Tom fell in love with hounds. The Corgis were joined by Salukis and field trials became the weekend venue! Today, her household continues to be owned by the critters, 2 canines, 3 felines and 1 equine! Now retired, her goal is to pursue her passion of tromping off into the woods and trails with her Haflinger, Magic, and one day riding and driving him on the carriage roads in Acadia. At Camp, Trina does her best to make sure all the campers are happy campers! Bev writes “Dogs are my passion that is also a family affair. I have been working and showing dogs since I was eight, when I got my first dog and showed in 4-H. My grandfather trained dogs, taught my mom who taught me to work with dogs. With my dogs, I have enjoyed participating in almost every dog sport at some time or another but prefer freestyle since I feel it gives you the closest relationship with your dog. I have mostly had sporting dogs (Labrador and Golden Retrievers, Irish Setter, German Wirehaired Pointers) but have also had two Border Terriers and my mixed breed dog, Vinnie. “Sonic (my BT) was only four months old when he participated in Camp for the first time and it was an experience I won’t ever forget! He learned so much, had such a great time and taught me equally as much about learning!” By starting freestyle at Camp, he became the youngest dog to receive a traditional freestyle title in the World Canine Freestyle Organization. He then went on to become one of the highest titled small dogs in our sport. I also enjoy judging freestyle which gives me the opportunity to judge people all over the world. I am currently employed at Leader Dogs for the Blind as the manager for Puppy Development and feel honored that I can use my dog training skills to help others and have in my 20 year career there. My latest addition to my canine family is “Wink” a German Wirehaired Pointer. Together we have been to dog shows all over the country as well as Westminster Dog show where she earned an Award of Merit at just 21 months old and continues to burn up the conformation ring as well as the bird field! In order to continue to work with my dogs as well as those I instruct, early in 2014 I completed my Karen Pryor Certified Training Partner certification. Linda has been involved with training and showing dogs since she was eight years old! She trains and shows her German Wirehaired Pointers in conformation, obedience, freestyle, hunt tests and field trials, agility, and does demonstrations and therapy visits. Linda and her GWP Maksim competed at the Westminster Dog Show this year and Maksim was BOS!!!! Linda has designed and taught many drill team routines and demonstrations for fun and for competitions. Linda is a certified Freestyle Competition and Proficiency Test Judge. She and “Robbie” were the 2002 North American Freestyle Champions and the first Heelwork To Music Champions! Linda is looking forward to meeting your dog and you! I have had dogs my entire life but became more involved after graduating college. I took a temporary job at a dog daycare which quickly morphed in to a full time position. The daycare was right next to Tails-UWin and my eyes were opened to the world of positive reinforcement dog training. I learned so much about behavior while at the daycare. I adopted Jane, a 6 month old hound mix, while working at the daycare. I took several different classes with her, including tricks and agility. I also assisted with classes at Tails-U-Win. She is almost 16 years old. While working with many different breeds and mixes, I figured out which dogs fit with my life, sighthounds! In 2005, I adopted my first Ibizan Hound, Arthur, from a hoarding situation in Omaha, Nebraska. My second Ibizan is a wire named Trea. Arco is my youngest, born in 2013. I learned about lure coursing in 2007 when I took Trea to an event to practice. After one trial, I was hooked! She has 14 Best in Field titles. 2016 will be my second camp and I am excited to see all the dogs chase that “bunny”! I’m thrilled t have been invited back to Camp this year as a member of the Agility Staff. They and all of you, are such a joy to work with. I’ve been actively competing in agility now for 14 years, the last 6 with my 8 year old Golden Retriever MACH Pine Run’s Liv’n It Up, SF, ADHF, OD aka “Olivia”. I’ve been competing with my 3 year old boy, Fast Trak Natural Born Thriller, AX, MXJ aka “Brash” for the past 2 years. I am a member of the Keystone Agility Club and have been reaching beginning, advanced and master level classes now for the past 11 years. Besides my passion for agility, I enjoy working our Retrievers in the field where they get the opportunity to sharpen their natural marking and retrieving talents. In addition to Olivia and Brash, my wife and I share our home and love with five other Golden Retrievers. Like all of you, I’m here to have a ton of fun and enjoy the company of good people and their K9 companions. If there is absolutely any way that I can be assistance to you during your Camp experience or if you just want to talk agility, please don’t hesitate to see me. Let the games begin! Christina has been involved with dogs for over 13 years. She started out volunteering at a high kill shelter and then realized her passion for saving fearful and high energy dogs and became involved in rescue work. She started assisting training classes at the shelter and moved on to running the classes. Christina decided to find an outlet for her high energy foster dogs and became involved in the sport of disc. She found her passion in traveling and competing in this sport. Christina has a 2006 World Champion disc dog, along with many World Qualifying dogs over the years. In addition, she placed 2nd and 3rd at Worlds doing pairs routines and 3rd in Worlds with her micro dog. Christina started teaching Manners, Reactive dog and trick classes at a doggie daycare. In addition, to these classes she does private inhome lessons and private disc dog lessons. She shares her life with 10 rescue dogs and always has one foster dog. She now performs with these dogs doing disc, tricks and dock diving shows all over the United States. The last three years she performed at the Indianapolis Zoo for 8months each year. Christina has also recently started working for a Service dog company. She brings home dogs to train and socialize. She has learned so much by having several different breeds. She has Border Collies, Cattle dogs, a Lab, a Whippet and other mixes. It is important to her to use positive training so we are all always having fun!!! I am so exciting about teaching at camp this year. Leslie started her career with animals as a veterinary technician in 1991 and pursued this career until 2002 when she started Dogs Think! dog training and behavior consults full time. She has been training dogs and people since 1992. Her curiosity about dogs and the human-animal bond has taken her to Alaska as a volunteer on the Iditarod trail and Ground Zero to help with veterinary care for the search and rescue teams. She has done extensive continuing education and certification since she started training but credits her dog Clyde, a difficult “project dog”, with contributing the greatest amount to her knowledge of dog behavior and training. She currently shares her life and love with Gracie, the shelter dog “queen” from Mississippi, Trigger, the endearing boxer who has taught her that you “never say never”, Willy, the newest boxer and loudest snoring dog EVER, husband Dave, who has taught her the true meaning of unconditional love and beautiful, sassy daughter Shea Mim who has proven to be her most amazing accomplishment to date! Leslie’s daily goals now include capturing the heart melting Shea smiles on camera and keeping all things 3 year old out of Willy’s mouth! Karen was a trainer at Canine Consulting from 1986-2004. She has extensive experience owning and showing Terriers, Dobermans and Golden Retrievers. She now works at the DogSpa in Beverly, Massachusetts, an upscale retail and grooming shop where she also teaches “Proper Puppy” classes and private behavioral consultations. Karen taught at North Shore Community college for the Veterinary Tech and Animal Care Specialist Programs. Her Fall and Spring courses were Canine and Feline Behavior, Canine Training Methods, Law and Ethics and Nutrition. Karen retired from the college in January of 2012. In March 2002 she taught six workshops in Toronto for the Canadian Association of Pet Dog Trainers. Karen has bred Golden Retrievers, some of whom have become Wheelchair Assistance Dogs. Her dogs are active in community programs, visiting nursing homes and participating in educational programs. Two of her Goldens have been used in advertising campaigns. Since training her first terrier 40 years ago, she has continued to develop affection for her canine companions. She has added over the years two rescue maltese, a Rottweiler and a fabulous long-haired Shepherd Tregan, a calm steady guy She now lives with three adorable Shih Tzu’s Lyric, Callie and Monkey and of course her husband Carl. Karen uses gentle and pleasant instruction methods with all her students. Adding humor as often as possible. Jay and I have been involved in lure coursing for over 11 years, we have 2 Pharaoh Hounds that we travel with and run, Blaise and Senna . We belong to 5 coursing clubs , additionally, we host CAT events for many clubs in the Northeast. Jay has been a lure operator for over 6yrs and always puts the safety of the dogs running first with his safe course designs and lure operating skills. I work as the clubs field trial secretary for events, huntmaster events and just recently have become and AKC Lure Coursing Judge for CAT . Now about my dogs, Blaise was the 2009 & 2010 Pharaoh Hound National Champion in LGRA (straight racing) Senna is a Dual Champion (coursing and conformation) and in 2011 was the ASFA II (International Invitational) breed champion and finished 2nd overall at the event l. Showing the diversity of the breed, both of my dogs have competed in obedience. This will be our second year at camp and we look forward to another year. Barb is a life long dog enthusiast who has participated in a number of activities over the years. Obedience, breed, flyball, agility, tricks, demos, k9 disc, and pet therapy just to name a few. She has also raised five puppies for Leader Dogs for the Blind of Rochester, Michigan and is currently a foster home for Great Lakes Border Collie Rescue. In addition, for the past three years Barb has been assisting in the capture and transporting of injured water fowl and shore birds with a DNR wildlife rehabilitator. Barbs k9 pals consist of German shepherd Ben, lab mix and shelter dog Luke, former foster dog and now permanent member coonhound mix Lance, border collie Penny and Patterdale terrier Andy. Miniature horse Libby also resides with the pack. Libby is an avid swimmer and loves her daily three mile walks with her partner Andy. Mary Horne CPDT-KA, SF SPCA CTC is a passionate teacher/trainer and enthusiastic participant in a variety of dog sports. Since entering her first Rally trial in 2001 (she and her Lab barely qualified but had a blast! ), Mary has titled multiple dogs in Obedience, Rally, and hunting retriever work. She loves discovering and refining ways of training to enhance precision, understanding and most of all joy. Mary is currently blessed with 2 fun-loving Lab girls — 7 year old Pepper (OTCH-C ARCH Radiance Love That Spice UD, RE, BN, JH, UD-C, CD-CCH, RL1X, RL3, WC) and 4 year old Dakota (ARCH Rhumbline’s Rambling Dakota UD, BN, RE, UD-C, RL3, WC), who has so far earned AKC and CDSP High in Trial awards, multiple CDSP High Combined awards and 14 perfect 200 scores in CDSP Novice and Open. Dakota was the 2014 overall winner of the annual New England Rally Enthusiasts Regional Tournament, losing only 2 points out of 12 rounds in all 3 levels of WCRL Rally. Roy was born and raised on a farm in Virginia where his family raised tobacco and livestock. Roy and Debbie now live on Breezy Hill Farm in Gladys, VA with daughter, Shelby, Son Bill and daughter-in-law, Cheryle and granddaughter, Marissa lives next door. They have approximately 300 head of sheep, 150 head of cattle, a few horses and chickens. Roy started working with Border collies after he lost his hands in a hay baler accident in 1984. His first working dog, Rosco, a red and white Border collie, went on to place consistently in the top trials in the U.S. and Canada. Roy has qualified many times to compete in the prestigious United States Border Collie Handlers Association (USBCHA) National finals with Rosco, June (Roscoe’s daughter, who won the 1987 Futurity), Craig, Jim and more recently, Sonny and Chip. Sonny first qualified for the 2004 USBCHA National Cattle Finals and has qualified every year since then. The Finals consists of the top 60 qualifying dogs from the United States and Canada competing two go rounds and the final day, only the top 20 of those go on to compete in the final round, called the double lift. Sonny’s placings have been: 2004 placed 12th; 2005 placed 10th; 2006 placed 8th; 2007 placed 1st…2007 National Champion and in 2008 placed 7th. Chip has also qualified for the Finals in 2005 placing 7th; 2006 placed 10th and in 2008 placed 18th. Roy has judged numerous trials. Debbie competed in trials with Abby, a daughter of Jim (who also qualified and trialed in the National Cattle Finals since 2006 through 2008). Roy has been working with all herding breeds (and some non herding breeds) since 1986. He has been teaching herding at Camp since 1996 and enjoys helping people and their dogs discover how to herd. Roy and Debbie enjoy traveling with the dogs, whether for competitions, demonstrations or teaching…it’s a family effort. Frankie Joiris is the Team Manager for the United States Team competing at the European Open Junior Agility Championship. She has been teaching dog training since 1976, she started teaching pet and competitive obedience classes and as part of Speedoggie Performance Dog Training she is now a full time agility instructor and coach, teaching classes, private lessons and seminars. She specializes in motivating the ‘hard to motivate’ dogs, as well as trick training. Along with partner Chris Ott, Frankie developed the Speedoggie “Fit To Be Tricked’ program, and has written articles, teaches classes and holds seminars on FTBT. She has successfully coached numerous private students helping them overcome motivational issues on both ends of the leash. 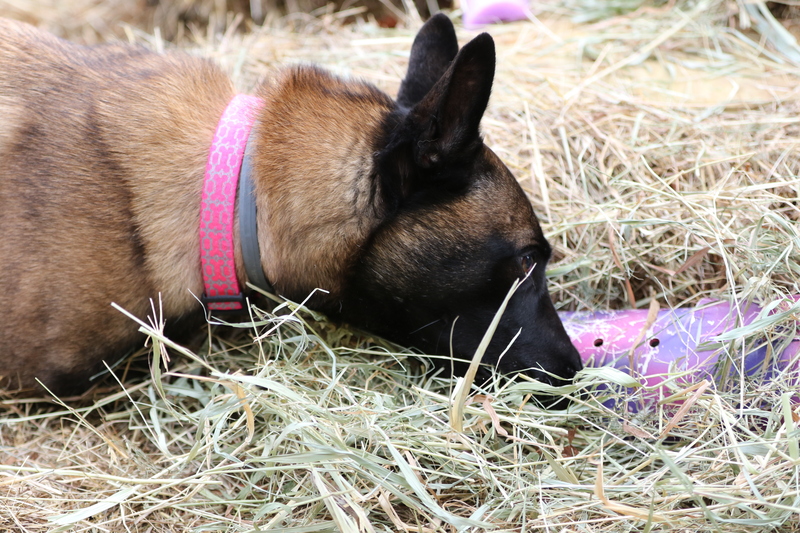 She studies and utilizes the best methods possible for each dog and handler team because no two teams are alike as training needs to be individually tailored. She enjoys competing with her own dogs and has titled dogs in obedience, agility, lure coursing, hunt tests, tracking. She and her students have qualified multiple times for National and Invitational events. Her current competition dogs include Whippet Boing!, Pyrenean Shepherd Toggle, and Border Collie Kiss~Me. 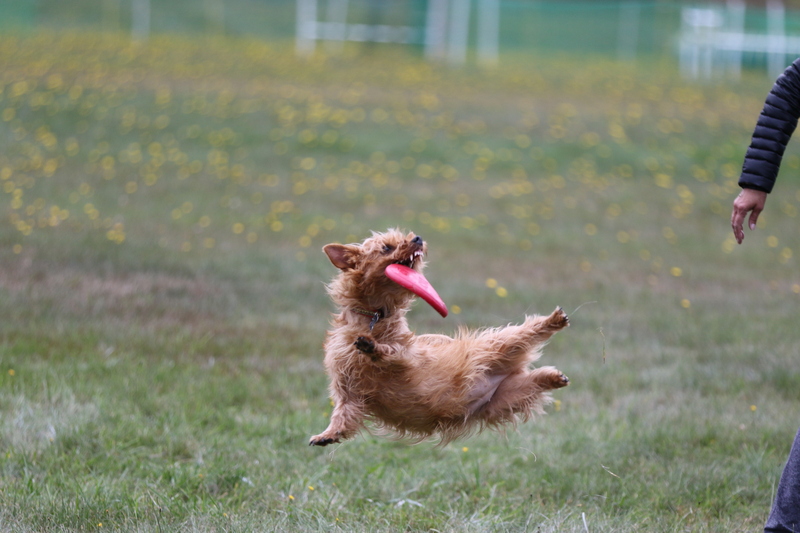 Her Norfolk Terrier, Stamp, is the first and currently only Champion MACH in the breed. He was #1 or #2 Norfolk Terrier in agility his entire career and received numerous awards from the breed’s parent club. Frankie has been an animal actor trainer and handler for about 30 years training her own pets as well as a wide variety of species and feels that her experiences with different species of animals gives her a slightly different insight. An equal opportunity dog person I have been a dog lover all my life. I worked at an animal hospital for over twelve years. I assisted puppy kindergarten, basic obedience, therapy dog and other assorted classes for too many years to count. I have also been an employee, both paid & as a volunteer to several Rescue groups. I have had 3 Bassets, a Golden, Italian Spinone, a Doberman & a Rotti, both rescues, and currently have two Shih Tzus – Tallullah and Winslowe. I also like to make good things to eat for both humans & dogs. “I love coming to camp & seeing all the people that love their dogs as much as I love mine. I also have a husband and 3 grown daughters & 7 grandchildren, but I don’t bring them to Camp. Lynne has been teaching pet and competition obedience classes for over 30 years. She has been a member of the National Association of Dog Obedience Instructors (NADOI) since 1985. With her canine teammates, Lynne has earned many AKC titles, with many class placements and High in Trials. She currently shares her home with 17+ year old Brussels Griffon, Danny UD, CGC, Therapy Dog. Lynne likes to develop and lead classes which focus on Attention, Competition Obedience exercises, Obedience Games, Stays, Retrieving and Heeling. 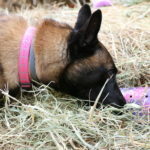 She enjoys helping people who are experiencing behavioral/relationship challenges with their dogs by introducing creative and effective training games. After retiring from IBM, Lynne started an in-home boarding and training business which she continues to enjoy today. Sean McMurray’s interest in dogs began in 1983 when he obtained his first puppy, a Lab cross. This dog was soon followed by the first of three white Shepherds, a Standard Poodle 2 Whippets, and a Portuguese Water Dog. Sean began teaching classes in 1990 and has been an instructor at Tails-U-Win in Manchester, Connecticut ever since. He teaches family dog classes and is involved with SCENT FUN and competition training and classes, private lessons and behavioral consultations. Sean has been coming to Camp since 1992, and looks forward to seeing everyone each year. Sean lives in Enfield, Connecticut with Misty, his Whippet, Mango, his PWD, his wife Sue and their five children Sara, Lauren, Eric, Amy and Leah. Taffy began to appreciate really good food over 25 years ago while working with Rene Chardain. At the time this world-renown chef was the owner of the Four Columns Inn, a local restaurant and Inn, fancy enough for Mick Jagger himself. After eight years with Rene she started her own small picnic and catering business that brought together her three most favorite things – good food, use of her horses (Morgans, of course!) and carriages for the picnics – and the ability to enjoy it all with good people! Taffy’s gourmet picnics have been featured in Yankee Magazine and Country Living Magazine. Not only can Taffy cook, she’s a bonafide Justice of the Peace. She did in fact, perform the marriage ceremony for Leslie and Derryl at 1998’s Fall Foliage Camp. In her spare time, Taffy can be seen roller blading around Southern Vermont’s highways with her Golden Retrievers. She runs a catering business in Southern Vermont and supervise the adult skiing program at Stratton Mountain during the long Vermont winter. Leslie Nelson is the owner and training director at Tails-U-Win! Canine Center, LLC in Manchester, CT. She oversees over 50 classes a week and a staff of more than 30 instructors and assistants. In the mid nineties after being introduced to Ted Turner, the head trainer of Sea World of Ohio, Leslie developed a training program for family dogs based on the training done at Sea World. Her busy training center has been the perfect location for like minded trainers to experiment with and practice positive reinforcement techniques. She has been involved with animals her entire life and has bred and shown numerous Afghan breed champions and performance dogs. She has trained two of her Afghan Hounds to the Utility Dog title. Today she continues to compete with her own dogs in competition obedience and agility and she loves to help every dog become the best he can be. Leslie instructs both family and competition classes and has an active schedule of private lessons and behavioral consults. She is a member of APDT and has been honored as their keynote speaker. She is a sought after seminar speaker and was featured along with Ted Turner and Patty Ruzzo in the popular training video, The Power of Positive Training and it’s follow up, Proof Positive. Her booklets, Management Magic, The Really Reliable Recall and her Family Dog workbook are used in training classes across the country. Her DVD The Really Reliable Recall, produced by Camp Instructor Bonnie Peregoy, has become a training classic.. Leslie and her husband, Derryl, share their home with their four dogs and various other animals. Doreen has had dogs all her life and has had Chesapeake Bay Retrievers since the mid 70’s. As a military family Doreen, husband Gary and their Chessies have moved around the US, living in Florida, Alaska, CT, NYC, and Maryland during their 30 years of active duty. They are now retired and living in CT. Doreen has been actively showing the Chessies since 1993 in AKC, UKC and CKC venues. She and the dogs show in obedience, agility, rally, tracking and conformation. Since 1993 the dogs have consistently been in the top 10 Chessies showing in obedience and agility in the AKC. She started tracking in 1992 with her first competition dog, Taku. Since then she and the dogs have earned over 80 titles, with 4 of the dogs earning VCD titles from the AKC. Taku earned his UD in obedience, his MX & MXJ in agility and his TDX in tracking and was the 1st Chessie to earn a VCD2. He, along with Piper and Zephyr went on to earn their VCD3 (UD, AX, AXJ & TDX) titles. Zephyr, who she is still currently showing, is the only Chessie to have earned a VCD4 title; there are fewer than 30 dogs of any breed to have earned a VCD4 title from the AKC. He is a Champion Tracker, Master Agility Champion twice over and has his UDX in obedience. Zephyr also has his RAE in Rally and several legs towards his Junior Hunt title. Zephyr is the only Chessie to have run at the AKC tracking Invitational and is one of only a handful of entrants to pass. Makai, Zephyr’s daughter, is currently competing in obedience, agility, tracking, rally and conformation. She has one leg towards her open obedience title, her excellent standard & jumpers titles, her Rally excellent title and her TDX. Doreen has helped train and title other breeds in conformation, obedience, agility, rally and tracking. Those breeds include Wiems, Goldens, Welsh Springers, Clumber Spaniels, Min Pins, Dobermans, Bullmastiffs, Border Collies, GSDs, Westies, Aussies, Labs, Belgian Sheepdogs, Tervurens, Pem Corgis, Std. Poodles and Bearded Collies. Bonnie Peregoy owns Healthy Dog LLC which is the parent of “Bonnie’s Dog & Cat Grooming” in Washington DC, and “Healthy Dog Productions” a media production company (video/audio) based out of her home in Edgewater MD (a suburb of Annapolis). She has competed with her Afghan Hounds and Standard Poodle in both conformation, obedience, and field trials. And she has competed with her Bichon in grooming competitions. In 1994 Bonnie threw away her choke chains and embraced the exclusive use of Positive Reinformcement for dog training. With a business partner she formed Positive Power Productions and produced a series of training videos featuring Ted Turner, Leslie Nelson and Patty Ruzzo. This first series of seminars and videos remains a foundation in the revolution of dog training from punishment and superstition to relationship and application of a scientific principles to behavior shaping. Healthy Dog Productions has gone on to produce other training CD’s and DVDs, Including the Really Reliable Recall DVD featuring Leslie Nelson and her technique developed at Camp Gone to the Dogs which is taught annually at Camp. Bonnie Peregoy first apprenticed as a dog groomer in 1973. In 1985,= she bought a boarding kennel in Tolland, Connecticut with business partner Leslie Nelson and “went to the dogs” full time doing boarding and grooming for the next 11 years in Connecticut and Maryland. In 1996 she left the boarding business, and began working exclusively as a groomer, on Capitol Hill in Washington D.C. Bonnie’s Dog & Cat Grooming Salon has been a fixture at the corner of 14th and E St Se in D.C. since 1998, where her customers are capitol hill staffers, writers, lawyers and the occasional congressman, senator or media personaility. Bonnie was the President of the Talbot Kennel Club for 6 years, the Potomac Afghan Hound Club for 6 years, and the Obedience Chairman of the Afghan Hound Club of America. She has served as Obedience Trial Chairman, Show Chairman, and has judged conformation and obedience at many AKC sanctioned events (sweepstakes and matches). Since 1994 she has been on the summer staff at Camp. Bonnie was the winner of the DWAA (Dog Writers Association of America) 1993 Maxwell Award for Best Magazine Article, and she has been a featured speaker at Groom Expo in Hershey, PA, multiple times Member of the: NDGAA (National Dog Groomers Association of America), APDT (Association of Pet Dog Trainers). Sue is the founder and owner of Rondout Valley Animals for Adoption, a small, open admission dog shelter which serves both the local (upstate New York) community as well as runs national programs. These national programs are dedicated to helping shelters ensure safe and lasting dog adoptions through behavioral and temperament assessments, quality of life for dogs in shelters, and to encourage innovative and proactive community outreach programs. Sue has over 30 years of dog behavior experience, including as a dog control officer, kennel technician and animal care technician at various shelters, dog trainer and behavior counselor, a dog training instructor and temperament evaluator at the ASPCA, a boarding kennel owner, veterinary assistant, is a successful competitor in a variety of dog sports, and a teacher of dog trainers. Sue was the subject of an HBO documentary called Shelter Dogs, which aired in January of 2004 which takes a hard look at quality of life issues in shelters. She is the author of Successful Dog Adoption (Howell Book House,www.amazon.com) many DVD’s on dog behavior and aggression. Sue’s two newest books, Out and About with your Dog (training and evaluating dog-dog behaviors) and Serious Fun (a guide to teaching your dog to play, training tricks and more) are available through www.greatdogproductions.com Most recently Sue has created an iPhone app called The Dog Park Assistant, which is designed to help owners who take their dogs to dog parks keep their dogs safe. The Dog Park Assistant app is like having a behaviorist with you during dog play to make sure interactions are healthy and to know when to interrupt. Sue has four heeler mixes adopted from various places, and they are all ruled by one awesome cat, Sanjay Gupta. She is an accomplished fiddle player, an avid mineral and fossil collector, loves Earl Grey tea and is a major Star Trek fan. Steve Surfman has been photographing animals for over 30 years. He is a multiple award winning photographer. He prides himself on capturing the very essence of dogs in their sports – their energy, enthusiasm, instinct and natural beauty. His photographs have appeared in many national dog publications including the AKC Gazette. Steve is a participant in the AKC stock phot agency which supplies photographs to major advertising agencies. He has been published in News Day, a major New York newspaper and his photographs have also appeared in the Boston Globe. He is a member of the Scottish Deerhound Club of American and Mid-Atlantic Deerhounds. This year one of Steve’s Deerhound photos won first place at the Scottish Deerhound National Specialty. In 2002 Steve received an award from the Dog Writers Association of America for “Best Black and White Photograph.” Early in 2003, one of Steve’s agility photos won first prize for action photography in the prestigious Dog Fanciers of America annual photo contest. He recently had several photos (most of them taken at Camp) accepted for a calendar due out in 2006. Steve loves coming to Camp and considers doing the photography at Camp Gone to the Dogs as not just another photo shoot, but just plain fun. Sarah is a New York City based dog trainer, owner of Doggie Academy [link to doggieacademy.com] and founder of the Brooklyn Dog Training Center[link to brooklyndogtrainingcenter.com]. Her agility classes are some of the most popular classes offered at the BTDC. Sarah has been training in agility since adopting her field Labrador Retriever, Hank, in 2008. As a team, Sarah & Hank were thrilled to win the 24″ Excellent Standard class at the first Masters Agility Championship at Westminster. She is now training her Border Collie puppy, Fever, in agility foundation. In addition to agility, she also teaches private lessons and group classes in manners and behavior in Brooklyn and Manhattan. Sarah always looks forward to camp where she’s lucky to reconnect with campers, meet new faces and be a part of their awesome camp experience. © 2019 Camp Gone to the Dogs All Rights Reserved.